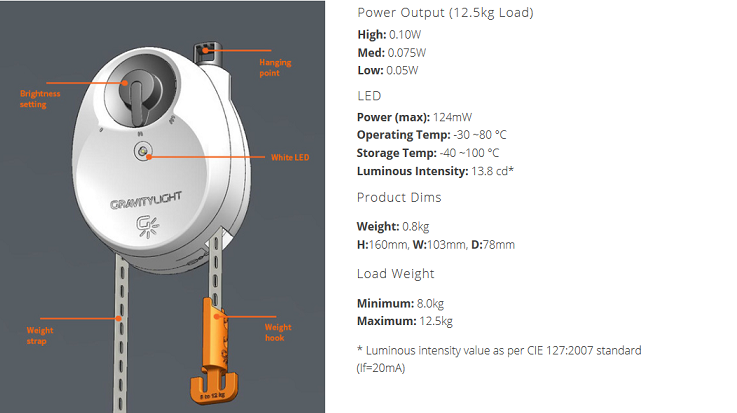 GravityLight is a revolutionary product which uses a combination of kinetic and potential energy by simply using a heavyweight. A smartly engineered pulley system that slowly powers a generator as the weight falls to the ground creating enough light for your immediate purpose. 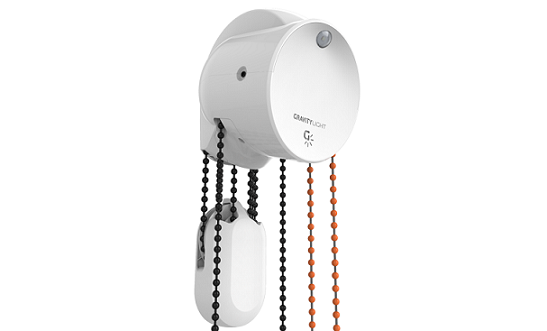 GravityLight GL02 is powered by the slow lift of any weight attached. You won't need any additional batteries, wires or connection to the nearest power source by any means. 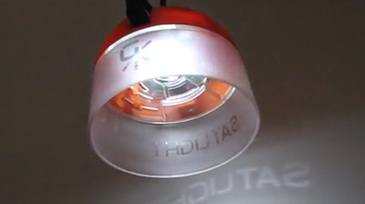 It takes seconds to lift the weight that powers GravityLight, creating around 20 minutes of light on its descent. Just take any bag with around 12kg weight and lift it to attach the orange cord given to the instrument. The bag falls slowly and activates the smart pulley system which generates light while bag falls slowly by gravity at around 1mm/second. This movement powers a drive sprocket which rotates very slowly with high torque that drives a DC generator at 1600 rotations per minute.